Other Food: daily devos: Who will you put on today? TO CHEW ON: "But put on the Lord Jesus Christ, and make no provision for the flesh to fulfill its lusts." Romans 13:14. Here Paul sums up for readers two simple (and vast) instructions about living a Christian lifestyle. They are as relevant today as they were 2000 years ago. 1. "Put on the Lord Jesus Christ…"
The image is of clothing oneself. Clothes serve many purposes. They protect us from the elements. They cover our intimate parts, providing modesty and dignity. They also define us by the styles and fabrics we choose to wear. Paul tells these Roman Christians to dress in Jesus. Way back in the Old Testament, Job makes this statement that underlines clothing's protective and defining aspects: "I put on righteousness and it clothed me; My justice was like a robe and a turban" - Job 29:14. Paul speaks of the rite of baptism as something that initiates that putting on and declares it to the world - Galatians 3:27. A mind renewal is also involved. Paul, writing to the Ephesians, describes how they must "…put off … the old man … and be renewed in the spirit of your mind that you put on the new man which was created according to God in true righteousness and holiness" - Ephesians 4:17-24. Colossians 3:9 also talks about this renewal. 2. "…make no provision for the flesh to fulfill its lusts." In other words, Paul tells these Christians and us, not to make plans to sin. Just don't do it says Peter - 1 Peter 2:11. "Walk in the Spirit (another way of describing Step 1 above) and you shall not fulfill the lust of the flesh" - Galatians 5:16. Two steps that are so simple and yet they involve a lifetime of practice, of putting off and putting on. Who are you, who am I wearing today? 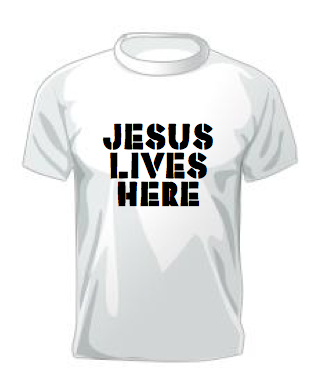 If it's Jesus, let's not be sullying those clothes with plans to sneak into our day some old-clothes thought or habit. PRAYER: Dear Jesus, please help me to put on You and to be aware of my sneaky side that still wants to make provision for sinful thoughts and actions. Amen.